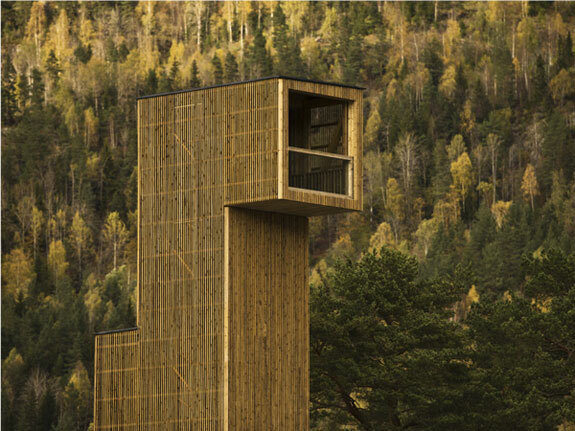 “Lookouts, viewpoints and beauty spots all feature heavily in Norway’s rural architecture, as the forward-thinking government continues its policy of the architectural beautification of its highways and tourist routes. This attitude has spilled over into local municipalities, turning the country into a haven for lovers of modernist follies and eccentric contemporary structures. 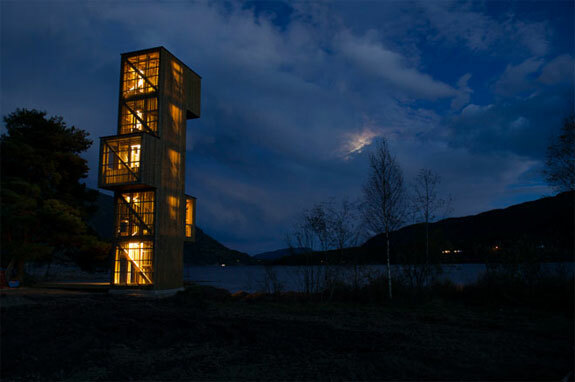 The latest project to surface is the Seljord Watchtower by Rintala Eggertsson Architects. 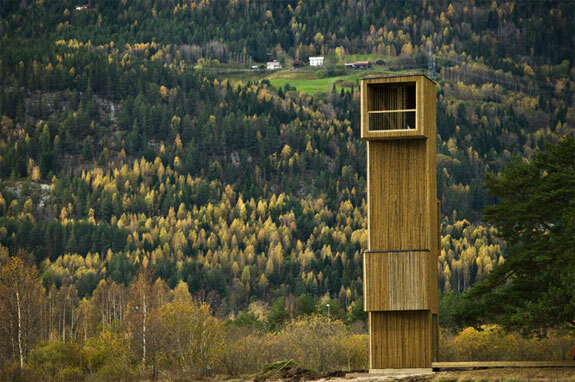 The brief from the Municipality of Seljord was to provide a lookout tower that was ostensibly designed for tourists, picnicking locals and bird-watchers. 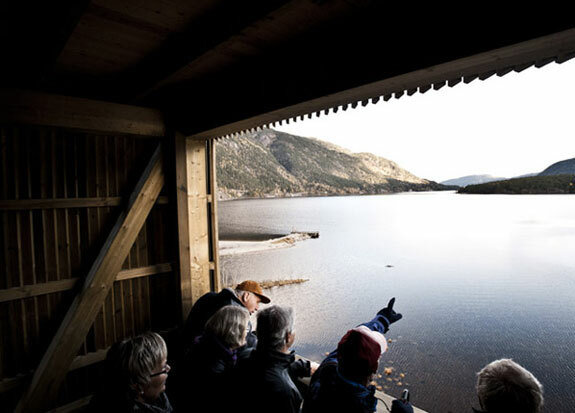 It also helped that there is a long-standing legend about an eel-like lake monster lurking in this 14km long body of water, making an observation tower something of a meeting spot for ardent cryptozoologists. 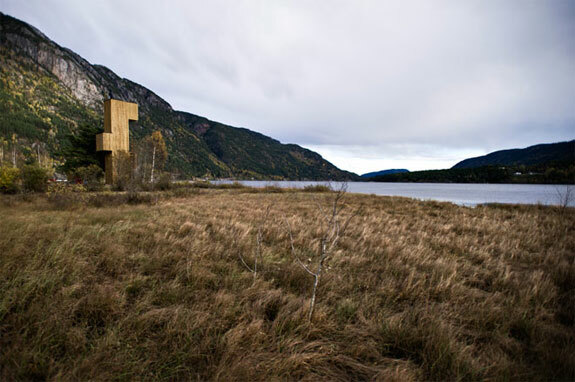 Amazing architecture in amazing nature! So Scandinavian! Wow what a great piece of architecture. It reminds me so much of a periscope and it looks even better in the dark.